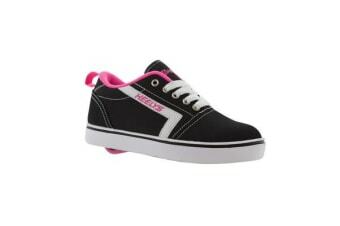 What are Heely’s? They’re shoes that roll! These one of a kind, powerful, lightweight athletic shoes feature a single, stealth wheel housed in the heel, allowing athletes of all skill levels to walk, run and transition to a roll at any moment. Roll into all situations, or simply remove the wheel and transform your Heely’s into a pair of fashionable street shoes!